For a while it seemed as though Michael Keaton (Birdman) had dropped out of talks to join Marvel’s Spider-Man: Homecoming. It has now been confirmed, however, that the deal has closed for him to take on the latest Spidey, Tom Holland, in the role of The Vulture. He will also be joining Marisa Tomei (The Wrestler), Robert Downey Jr. as Iron Man, Tony Revelori (Grand Budapest Hotel) and Zendaya (TV’s K.C. Undercover). This particular villain takes Spider-Man back to his roots as one of the first supervillains in the series and the original reason that Peter Parker got his job at The Daily Bugle when editor J. Jonah Jameson put out a reward for anyone able to get a picture of the baddie. His real world persona is Staten Island invetor Adrian Toomes. He creates a flight harness that also gives him super strength and an elongated lifespan. After being swindled by his business partner, Toomes begins a life of crime under the name The Vulture out of bitterness and revenge. 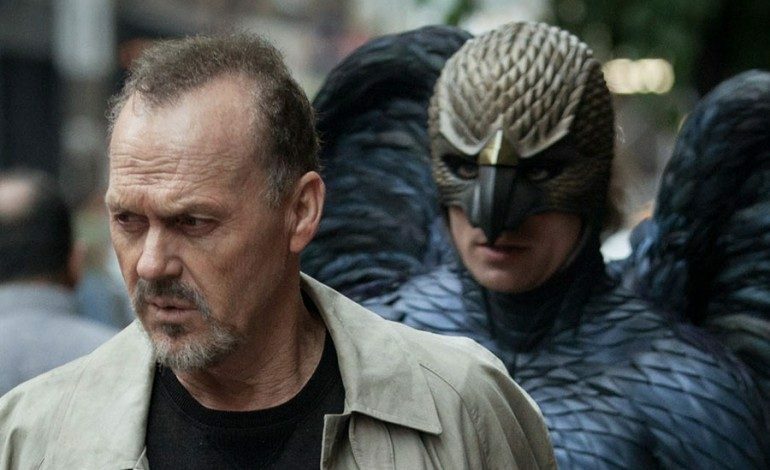 Keaton was last seen in the Oscar-winning film Spotlight. He will next be starring in the Oscar-bait biopic The Founder about the origins of McDonald’s. He will also be taking the screen with young actor Dylan O’Brien (The Maze Runner) for American Assassin and will be reportedly returning to his iconic role in a Beetlejuice sequel. In other Marvel news, several new cast mates have been added to the lineup for Thor: Ragnarok, the third installment of the Thor series. Mark Ruffalo has been confirmed to be reprising his role as The Hulk in the film and he will also be joined by Oscar winner Cate Blanchett (Blue Jasmine) as the villain Hela, and Tessa Thompson (Creed) as Valkyrie. Other additions include Jeff Goldblum (Independence Day) as the Grandmaster (an Elder of the Universe obsessed with gaming and battles) and Karl Urban (Dredd) as Skurge, an Asgardian warrior also known as The Executioner. They will be joining returning stars Chris Hemsworth and Tom Hiddleston. Natalie Portman, however, will not be reprising her role as Jane Foster. The Hollywood Reporter broke news that Jaime Alexander (TV’s Blindspot) may have also dropped out, but she has a different message for fans, taking to Twitter to say “don’t worry” for those upset at not seeing her name on the cast list. Spider-Man: Homecoming will hit theaters on July 7, 2017 with Jon Watts (Cop Car) at the helm. Thor: Ragnarok is slated for later that fall on November 3 and will be directed by Kiwi filmmaker Taika Waititi (What We Do in the Shadows). Plot details are still a mystery for both films, however, we will keep you updated on all things Marvel as news is released.